Arrive Delhi and proceed directly for Corbett by road (280 km/6 hrs). Arrive and check in at your hotel. Rest of the day free to relax. In the evening, enjoy a slide show on Corbett National Park. Overnight. 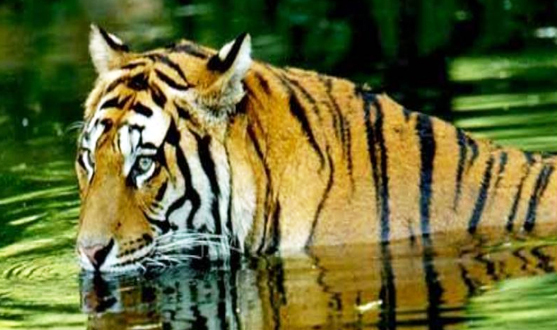 After breakfast, go on a wildlife tour in Corbett National Park by Jeep Safari. Return to resort. This evening, enjoy a Kumaoni Folk dance. Overnight. Enjoy an early morning nature walk in Corbett National Park. Return to your hotel for breakfast. 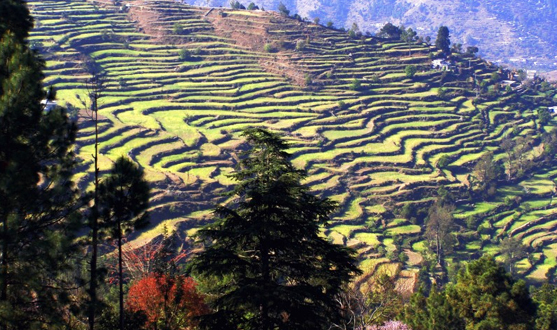 Check out and drive to Ranikhet (92 km) by road. Arrive and check in at your hotel. In the afternoon visit Chaubatia, Jhoola Devi, Ram Mandir, Upat and the Golf Course. Dinner and overnight. Breakfast. Go on a sightseeing tour of Chaukhutia, an explorer's delight because of the four routes that lead out of here. Visit BinsarMahadev a temple of significance in the region, 19 km from Ranikhet. The temple is surrounded by thick deodar forests and lies at an altitude of 2480 meters. Return to your hotel for dinner and overnight. After breakfast, check out and travel to Kausani by car (76 km) visiting Almora and JageshwarTemple on the way. Arrive Kausani and check in at your hotel. Dinner and overnight. Breakfast. Kausani is famous for its tea estates and pear orchards. Visit the tea gardens, view the sunrise over the Himalayan range and visit Baijnath Temple. Rest of the day at leisure. Dinner and overnight. After breakfast drive to Nainital (119 km). Check in at your hotel. 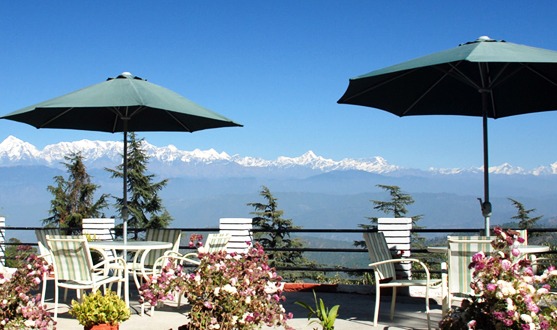 This afternoon visit Snow View, (2270 m) which offers a breathtaking view of the Himalayas. This popular vantage point is accessible by rope way. Also visit Naina Peak (2611 m), the highest peak in this area. Enjoy the panoramic view of the surrounding mountains. If time permits, visit Hanuman Garhi Temple and enjoy a close view of the sunset. Overnight. After breakfast, visit Lands End and Dorothy Peak. Return to the hotel to relax or enjoy the in-house facilities. Overnight. Breakfast. Check out and return to Delhi by road (approx. 9 hrs). Package Price: Rs. 36,180 per person on double sharing basis. All transfers and sightseeing as per itinerary by private AC car (Tata Indigo/similar). Meals - daily buffet breakfast in all hotels.